Believe it or not, not everyone wants an alligator paw backscratcher from New Orleans. Food and food-related items, however, make perfect gifts. We’ve made it easy to shop the Big Easy. 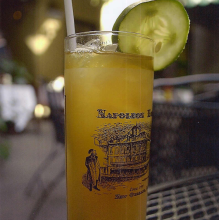 Napoleon House has taken a classic British cocktail and made it uniquely New Orleans. Now you can experience this refreshing drink at home. Call (504) 539-5520 to order yours today. 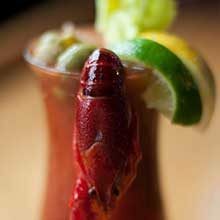 Purchase Daisy Dukes' award winning Bloody Mary Mix in any of their three New Orleans area locations or order online. All you need is the vodka, olives and celery! 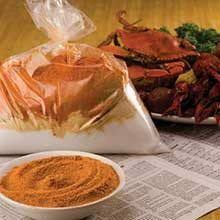 Host an authentic Louisiana boil anywhere with this unique blend of Cajun spices great for crawfish, crab and shrimp. Beignets, a crisp and delicate pastry dusted with powdered sugar, are a New Orleans tradition that you can now make at home. 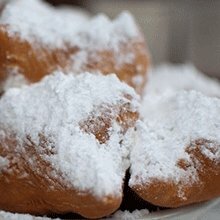 Order a one pound box of Cafe Beignet's famous mix to make 24 delicious treats. 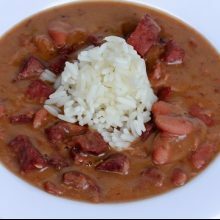 King Creole will deliver many of New Orleans famous dishes straight to your door, just heat & serve.